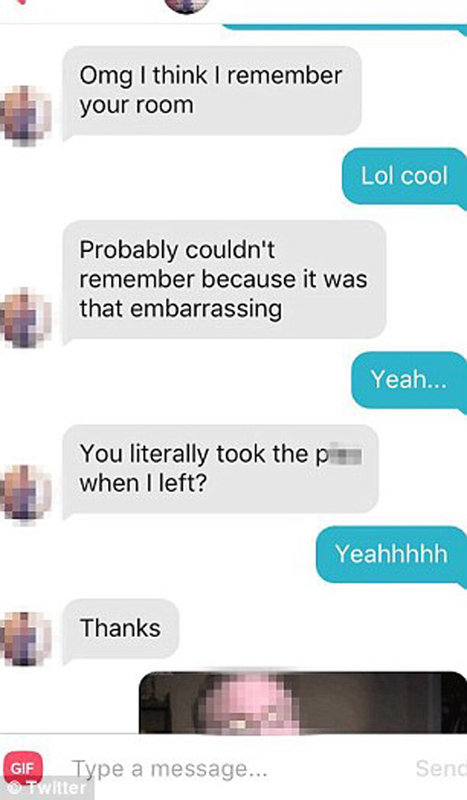 Woman brilliantly trolls guy on Tinder when he completely forgets they already hooked up. 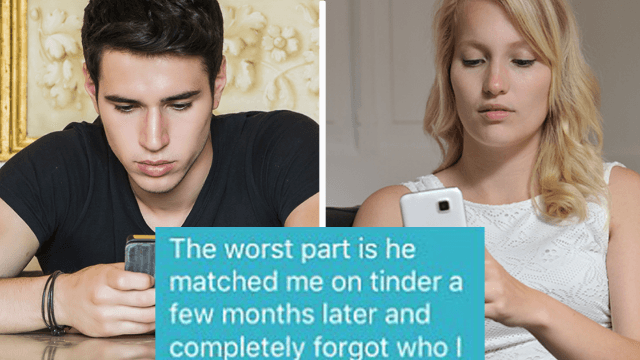 If Tinder's less about dating and more about making your clever interactions go viral, one woman grabbed the absolute perfect opportunity when she matched with a guy she'd already slept with. She didn't remind him right away, because it was his fault for not remembering. Instead, she dragged him along and dropped a few hints about his sexual performance. Which was—how to put this—short and bad. Above is a macro view of their interaction, but the best part's below. 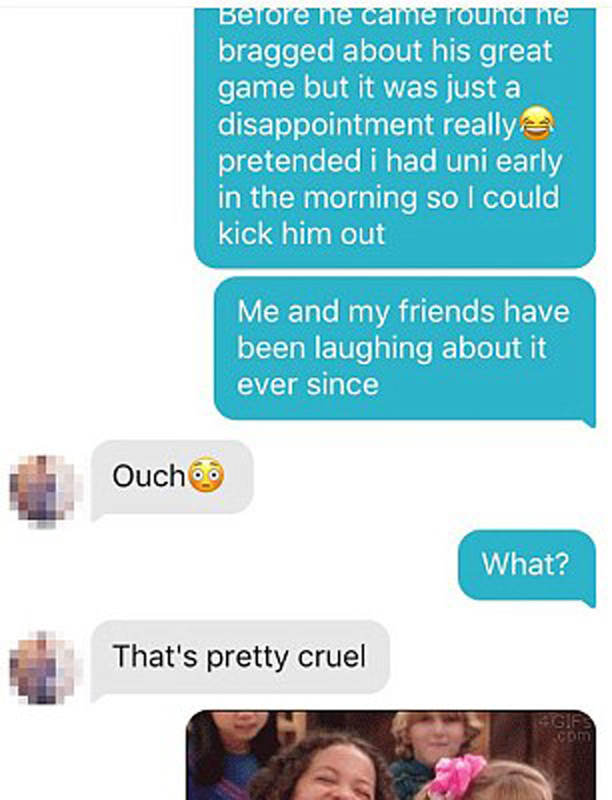 See, after telling him she was just using Tinder for "some fun," and hearing back that "uni girls are meant to be pretty fun," she asked if he'd ever hooked up with anyone on Tinder before. 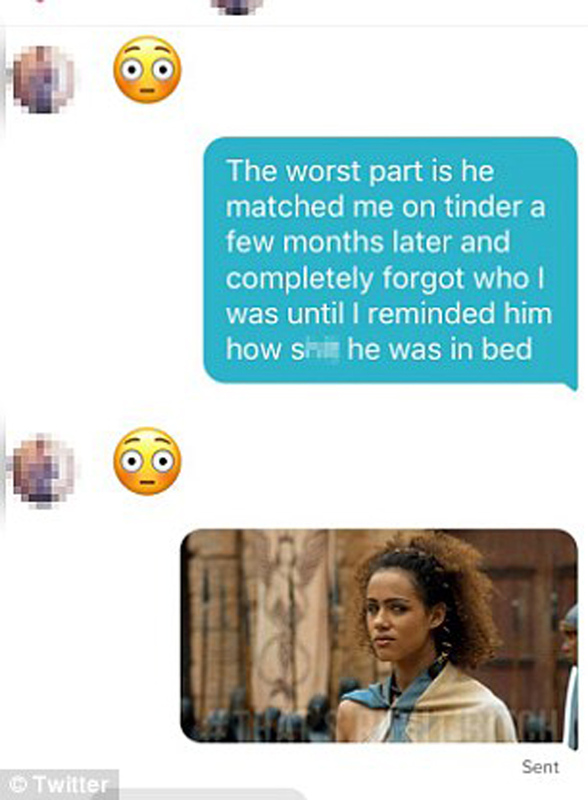 Now, it's not totally clear if these two had met on Tinder in the past or through some other means. But it sure seems like they met on Tinder months ago—and now it's all happening again. And it's her job to slowly and cruelly break the news to him. She starts telling him about this old date of hers. He starts to get it. Now he definitely gets the implication. Maybe it was the gif. So he decides to go deep, deep into denial. 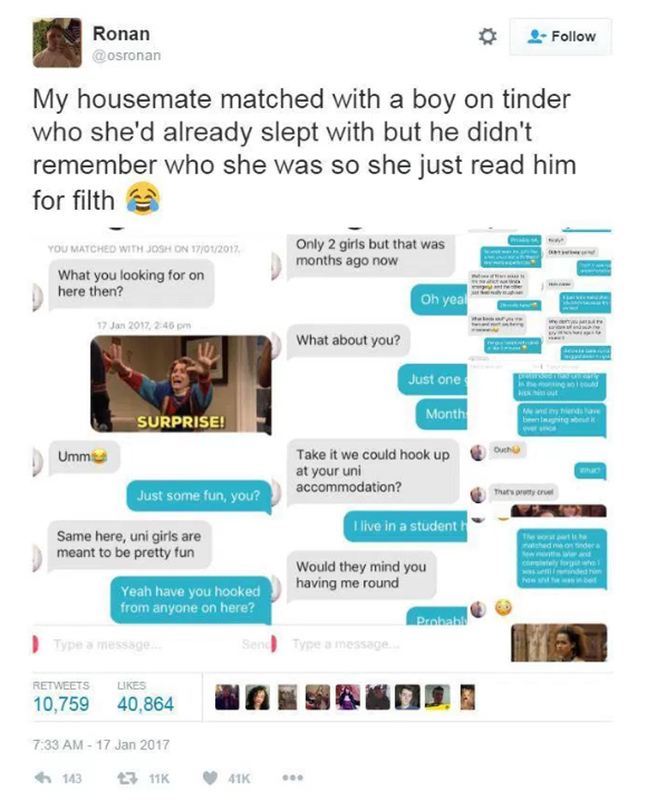 He says he's never been to her university before. And at this point he finally remembers. 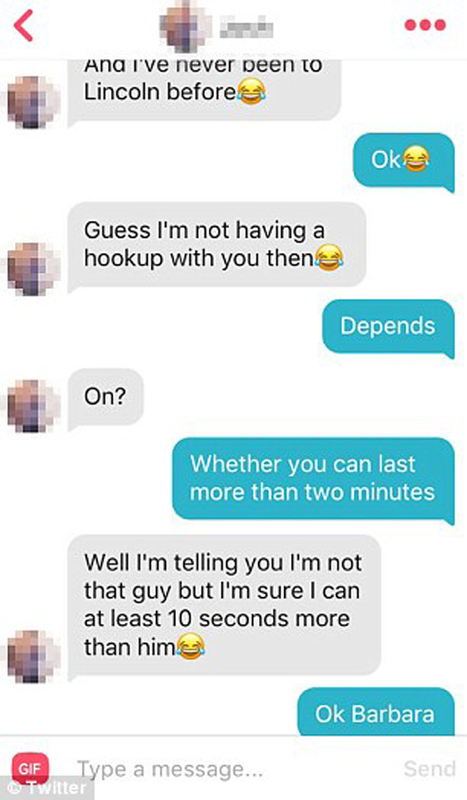 Everything he blocked out comes rushing back to him. He probably wishes it hadn't.